Nena Kudron (née Ada Naomi Hobbs) passed away peacefully at home in San Diego on January 24, 2019. Nena was born in Oklahoma on October 25, 1923, to parents Jesse James and Lillian Pearl Hobbs, who had seven other children (Jesse James Jr., Vernon, Mary Ruth, Nelda, Billy, Connie and Herman “Chuck”). The family moved to Bakersfield, California in the 1930s. 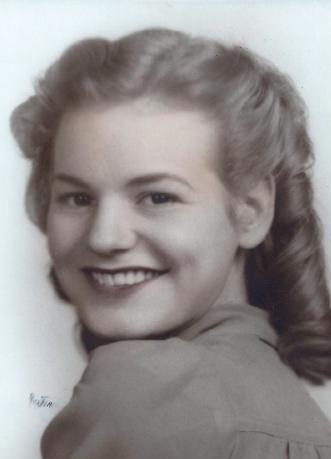 Nena moved to Ventura, California in the early 1970s, where she met and married her beloved second husband of thirty years, Bernard “Ben” Kudron (1916-2003). Nena worked for many years at the Bank of America and was an avid golfer until a few years ago. She moved to San Diego in 2015 with her partner of 15 years, William “Bud” Willis. Nena is predeceased by six of her siblings, her daughter Susan Lynne Rascoe Wareham, and her daughter-in-law Peggy Rascoe. She is survived by her son James “Jim” Rascoe, her brother Chuck Hobbs, her grandchildren (Matthew Wareham, Steven Rascoe, Kevin Rascoe, Chris Rascoe, Doreen Schillinger, Sherrie Kudron, Coleen Edwards, Tina Kudron, Kerry Kudron, and Greg Hovde), great-grandchildren (Christian Edwards, Alan Michaud, Zachary Layfield, Madison Rascoe, Sarah Rascoe, and Ian Rascoe), as well as her partner William Willis and his family. A graveside service will be held at the Ivy Lawn Memorial Park in Ventura, California on January 29, 2019, at 2:00 p.m. In lieu of flowers, donations may be made to the Alzheimer’s Association at https://alz.org.